RCA RECORDS - (Originally The Victor Talking Machine Company, then RCA Victor) is one of the flagship labels of Sony Music Entertainment. The RCA initials stand for Radio Corporation of America (later renamed RCA Corporation), which was the parent corporation from 1929 to 1985 and a partner from 1985 to 1986. RCA is the name of three different co-owned record labels. RCA Records is the pop music, rock music and country music label. RCA Victor is the blues music, world music, jazz, musicals and other musical genres which do not fit the pop music mold label. RCA just signed American Idol winner Lee Dewyze. RCA Red Seal is the renowned classical music label with a reissue sub-label called RCA Gold Seal. Defunct labels include budget labels RCA Camden and RCA Victrola. Besides manufacturing records for themselves, RCA Victor also operated RCA Custom which was the leading record manufacturer for the independent labels. RCA operated three strategically located record manufacturing plants in the U.S. and advertised overnight delivery to record distributors. RCA Custom also pressed record compilations for The Reader's Digest Association. Currently, Legacy Recordings, Sony Music's catalog division, reissues classic albums for RCA. 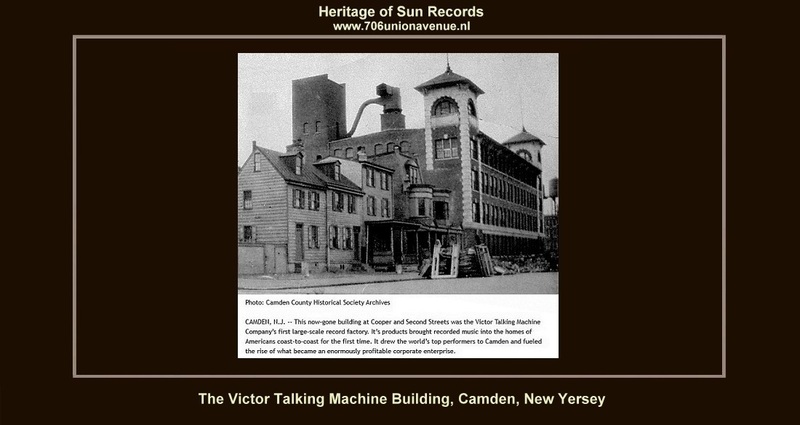 For the company's earlier history, see Victor Talking Machine Company. 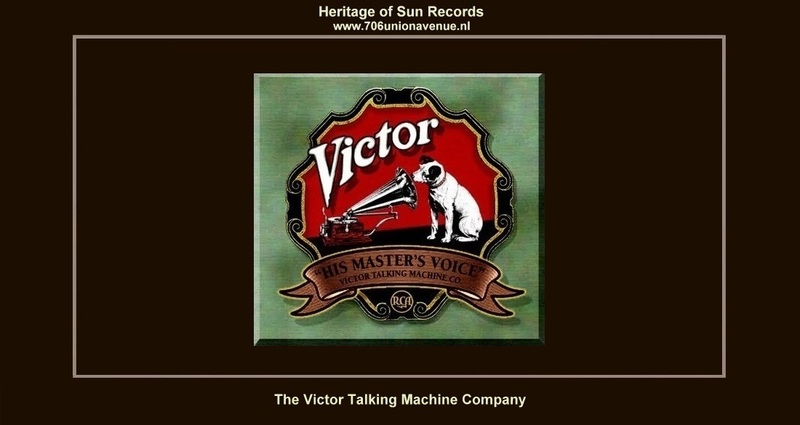 In 1929, Radio Corporation of America (RCA) purchased the Victor Talking Machine Company, then the world's largest manufacturer of phonographs (including the famous "Victrola") and phonograph records (in British English, "gramophone records"). The company then became RCA-Victor. With Victor, RCA acquired New World rights to the famous Nipper trademark. While in Shanghai China, RCA-Victor was the main competitor with Baak Doi. During the early part of the depression, RCA made a number of attempts to produce a successful cheap label to compete with the 'Dime Store Labels' (Perfect, Oriole, Banner, Melotone, etc.). In 1932, Bluebird Records was created as a sub-label of RCA Victor. It was originally an 8" record with a dark blue label, alongside an 8" Electradisk label (sold at Woolworth's). Neither were a success. In 1933, RCA reintroduced Bluebird and Electradisk as a standard 10" label (Bluebird's label was redesigned as it became known as the 'buff' label). Another cheap label, Sunrise, was produced (although nobody seems to know for whom it was produced, as Sunrise records are exceptionally rare). The same musical couplings were issued on all three labels, and Bluebird survived long after Electradisk and Sunrise were discontinued. RCA also produced records for Montgomery Ward during the 1930s. RCA sold its interest in EMI in 1935, but EMI continued to distribute RCA recordings on the HMV label. RCA also manufactured and distributed HMV classical recordings on the HMV label in North America. During World War II, ties between RCA and its Japanese affiliate JVC were severed. The Japanese record company is today called Victor Entertainment and is still a JVC subsidiary. From 1942 to 1944, RCA Victor was seriously impacted by the American Federation of Musicians recording ban. Virtually all union musicians could not make recordings during that period. One of the few exceptions was the eventual release of recorded performances by the NBC Symphony Orchestra with Arturo Toscanini. However, RCA lost the Philadelphia Orchestra during this period; when Columbia Records settled quickly with the union, Eugene Ormandy and the Philadelphians signed a new contract with Columbia and began making recordings in 1944. In 1950, realizing that Columbia's LP format had become successful and fearful that RCA was losing market share, RCA Victor began issuing LPs themselves. Among the first RCA LPs released was a performance of Gaîté Parisienne by Jacques Offenbach, played by Arthur Fiedler and the Boston Pops Orchestra, which had actually been recorded in Boston's Symphony Hall on June 20, 1947; it was given the catalogue number LM- 1001. Non-classical albums were issued with the prefix "LPM." When RCA later issued classical stereo albums (in 1958), they used the prefix "LSC." Non-classical stereo albums were issued with the prefix "LSP." In the 1950s, RCA had three subsidiary or specialty labels: Groove, Vik and "X". Label "X" was founded in 1953 and renamed Vik in 1955. Groove was an R&B specialty label founded in 1954. Through the 1940s and 1950s, RCA was in competition with Columbia Records. A number of recordings were made with the NBC Symphony Orchestra, usually conducted by Arturo Toscanini; sometimes RCA utilized recordings of broadcast concerts (Toscanini had been recording for the label since the days of acoustic recordings, and the label had been recording the NBC Symphony since the late 1930s). When the NBC Symphony was reorganized in the fall of 1954 as the Symphony of the Air, it continued to record for RCA, as well as other labels, usually with Leopold Stokowski. RCA also released a number of recordings with the Victor Symphony Orchestra, later renamed the RCA Victor Symphony Orchestra, which was usually drawn from either Philadelphia or New York musicians, as well as members of the Symphony of the Air. By the late 1950s RCA had fewer high prestige orchestras under contract than Columbia had: RCA recorded the Chicago Symphony Orchestra, the Boston Symphony Orchestra, and the Boston Pops, whereas Columbia had the Cleveland Orchestra, the Philadelphia Orchestra, and the New York Philharmonic Orchestra. On October 6, 1953, RCA held experimental stereophonic sessions in New York's Manhattan Center with Leopold Stokowski conducting a group of New York musicians in performances of Enesco's Roumanian Rhapsody No. 1 and the waltz from Tchaikovsky's opera Eugene Onegin. There were additional stereo tests in December, again in the Manhattan Center, this time with Pierre Monteux conducting members of the Boston Symphony Orchestra. In February 1954, RCA made its first commercial stereophonic recordings, taping the Boston Symphony Orchestra, conducted by Charles Münch, in a performance of The Damnation of Faust by Hector Berlioz. This began a practice of simultaneously taping orchestras with both stereophonic and monaural equipment. Other early stereo recordings were made by Toscanini and Guido Cantelli respectively, with the NBC Symphony Orchestra; the Boston Pops Orchestra under Arthur Fiedler; and the Chicago Symphony Orchestra under Fritz Reiner. Initially, RCA used RT-1¼inch tape recorders (which ran at 30inches per second), wired to mono mixers, with Neumann U-47 cardioid and M-49/50 omnidirectional microphones. Then they switched to an Ampex 300-3½inch machine, running at 15inches per second (which was later increased to 30inches per second). These recordings were initially issued in 1955 on special stereophonic reel-to-reel tapes and then, beginning in 1958, on vinyl LPs with the logo "Living Stereo." Sony Music and predecessor companies have continued to reissue these recordings on CD. In September 1954, RCA introduced 'Gruve-Gard' where the center and edge of a disc are thicker than the playing area, reducing scuff marks during handling and when used on a turntable with a record changer. Most of RCA Victor Records' competitors quickly adopted the raised label and edges. The Toscanini stereo albums, however, were never issued by RCA (they were the last two concerts he conducted with the NBC Symphony Orchestra). They were not issued until 1987 and 2007 respectively, when they appeared on compact disc on the Music and Arts label, and betrayed no sign whatsoever of the Maestro's apparent memory loss in the last concert, probably because the rehearsals had also been taped in stereo and portions of them were included in the final edit. In 1955, RCA purchased the recording contract of Elvis Presley from Sun Records for the then astronomical sum of $35,000. Elvis Presley would become RCA's and world's biggest selling recording artist. His first gold record was Heartbreak Hotel, recorded in January 1956. In 1957, RCA ended its 55-year association with EMI and signed a distribution deal with Decca Records, which caused EMI to purchase Capitol Records. Capitol then became the main distributor for EMI recordings in North and South America, with RCA distributing its recordings through Decca in the United Kingdom on the RCA (later RCA Victor) label. This had the lightning bolt logo instead of the His Master's Voice Nipper logo (now owned by HMV Group in the UK as EMI transferred trademark ownership in 2003). RCA set up its own British distribution in 1971. Also in 1957, RCA opened a state-of-the-art recording studio in Nashville, Tennessee which recorded hit after hit for RCA and other labels for 20 years and is now open for tours as RCA Studio B. Elvis Presley made most of his recordings in this studio. In 1960, RCA announced the Compact 33 double and singles. In January 1961, these discs hit the market. The Compact 33 discs were released simultaneously with their 45 rpm counterparts. The long-term goal was to phase out the 45 rpm. This campaign eventually failed by early 1962. In 1963, RCA introduced Dynagroove which added computer technology to the disc cutting process, ostensibly to improve sound reproduction. Whether it was actually an improvement or not is still debated among audiophiles. In September 1965, RCA & Lear Jet Corp. teamed up to release the first Stereo 8-Track Tape Music Cartridges (Stereo 8) which were first used in the 1966 line of Ford Automobiles and were popular throughout the late 1960s and 1970s. (The initial release comprised 175 titles from RCA Victor and RCA Camden's catalog of artists.) In late 1968, RCA modernized its image with a new futuristic-looking logo (the letters RCA in block modernized form), replacing the old lightning bolt logo, and the virtual retirement of both the Victor and Nipper trademarks. The background of the labels, which had always been black for its regular series (as opposed to its Red Seal line), switched to bright orange (becoming tan later in the early 1970s). Possibly in response to customers' complaints, RCA Records reinstated Nipper to most of its record labels beginning in 1976 in countries where RCA had the rights to the Nipper trademark. The famous "shaded" label used on RCA's "Living Stereo" albums was revived in the 1990s for a series of CDs devoted to the historic tripletrack stereophonic recordings. In late 1969 RCA introduced a very thin, lightweight vinyl LP known as DynaFlex (the name has nothing to do with the gyroscope). This type of pressing claimed to overcome warping and other problems in conventional thicker pressings, but it had a controversial reputation in the industry. At about the same time John Denver recorded his first RCA LP: Rhymes and Reasons. In April 1970 RCA announced the first Quadraphonic 4-Channel 8-Track Tape Cartridges (Quad-8, later called just Q8). RCA then began releasing quadraphonic vinyl recordings in 1971, primarily of classical music, in the CD-4 format developed by Japan Victor Corporation (JVC), and made commercially practical by Quadracast Systems Inc. (QSI). RCA's trade name became Quadradisc. The CD-4 format required a special cartridge that had a +/- 1db frequency response out to 50kHz, a CD-4 demodulator which decoded the difference between the front and rear channels from a 30kHz subcarrier, four separate amplifier channels, and four separate speakers for the left and right front and left and right rear. Both the CD-4 Quadradisc and Quad-8 tape cartridge systems were true discrete 4-4-4 quadraphonic systems. Columbia introduced a Pseudo quadraphonic matrix system, SQ, which also required a "decoder", 4 channel amplifier and the four speakers. The SQ system was not true Quadraphonic because it only had 2 channels and was referred to as a 4-2-4 matrix system. The Warner Music labels also adopted the Quadradisc format, but they, RCA and Columbia abandoned quadraphonic recording within a few years; some of the RCA sessions were later remastered for Dolby encoding (same as Peter Schieber's original matrix system) and released on CD. This included Charles Gerhardt 's series of albums devoted to classic film scores by Erich Wolfgang Korngold, Alfred Newman, Dimitri Tiomkin, Max Steiner, Franz Waxman, and others, performed by the National Philharmonic Orchestra in London's Kingsway Hall. In 1983, Arista Records owner Bertelsmann sold 50% of Arista to RCA. In 1985, Bertelsmann and RCA formed a joint venture called RCA/Ariola International. When General Electric acquired RCA in 1986, the company sold its 50% interest in RCA/Ariola International to its partner Bertelsmann and the company was renamed BMG Music for Bertelsmann Music Group. BMG brought back the lightning bolt logo that was last used in 1967 to make clear that RCA Records was no longer co-owned with the other RCA entities which GE sold or closed. The only RCA unit GE kept was the National Broadcasting Company. BMG also revived the "RCA Victor" label for musical genres outside of country, pop and rock music. Many artists such as Eurythmics, indie-popsters The Bongos, and Rick Astley recorded with RCA in the 80s. Charlie Rich had several recordings produced by RCA as well as Charley Pride. Co-writer Marvin Walters worked closely with both artists producing hit songs such as "Set Me Free" for Rich and "Pretty Girl" for Pride. Walters left RCA when it sold its interest to BMG. In the 1990s, RCA's corporate structure basically remained the same. Also, RCA had an explosion of urban talent, such as Tyrese, SWV, Chantay Savage, and others. Some of these artists, such as Mobb Deep, recorded for the RCA label via a distribution deal with Loud Records, which remained distributed by RCA until 1999.Many of these artists have since left RCA for a number of reasons, such as SWV's breakup and Tyrese's move to J Records. Also, artist of other genres, such as Christina Aguilera and The Dave Matthews Band were launched by the RCA label in the 1990s. RCA has produced several notable Broadway cast albums as well, among them the original Broadway recordings of Brigadoon, Paint Your Wagon, the Mary Martin Peter Pan, Damn Yankees, Hello, Dolly!, Oliver!, and Fiddler on the Roof. RCA has also recorded and released recordings of revival stagings of musicals. These include the musical productions staged at Lincoln Center such as the 1966 revivals of Show Boat and Annie Get Your Gun, the 1987 revival of Anything Goes and the 1998 Broadway revivals of Cabaret and The Sound of Music. Call Me Madam was recorded by RCA Victor with all of its original cast except for its star Ethel Merman, who, due to contractual obligations, could not be released from her American Decca Records contract. She was replaced on the RCA album by Dinah Shore. RCA was also responsible for the film soundtrack albums of Damn Yankees, South Pacific, Exodus, and The Sound of Music. The album made from the 1965 hit Julie Andrews film was (and is) one of the best selling soundtracks of all time. RCA also released the original American cast album of Hair. RCA Victor made several studio cast recording albums as well, included a Lerner and Loewe series with Jan Peerce, Jane Powell, and Robert Merrill, as well as a 1963 album of excerpts from George Gershwin's Porgy and Bess, with its 1952 revival leads, Leontyne Price and William Warfield, but a different supporting cast. They also issued two earlier versions of Show Boat, one with Robert Merrill, Patrice Munsel, and Rise Stevens and the other with Howard Keel, Anne Jeffreys, and Gogi Grant. RCA Victor also issued several spoken word albums in the 1950s and 60s, notably the soundtracks of the films Richard III, A Man for All Seasons and The Taming of the Shrew, as well as complete versions of the National Theatre of Great Britain stage productions of Othello (starring Laurence Olivier) and Much Ado About Nothing (starring Maggie Smith, who also played Desdemona in the Olivier Othello). None of these albums have appeared on compact disc, but the films of Richard III, A Man For All Seasons, The Taming of the Shrew and the Olivier Othello have all been issued on DVD. In 2004, BMG and Sony merged their music holdings into a joint venture called Sony BMG. Because Sony Music was the successor to the old CBS record division, this merger meant that RCA Records, once owned by parent RCA, was now under the same umbrella as the label once owned by RCA's rival, the Columbia Broadcasting System (CBS), Columbia Records. In 2006, Sony BMG merged its Broadway music labels, including RCA Victor to the new Masterworks Broadway Records. In 2008, Sony acquired Bertelsmann's interest in the record company which was officially renamed Sony Music Entertainment at the start of 2009. RCA became part of the newly formed RCA/Jive Label Group as a result RCA Victor decided to demolish their Camden warehouse in the early 1960s. This warehouse held four floors' worth of catalog and vault masters (most of them were pre-tape wax and metal discs), test pressings, lacquer discs, matrix ledgers, and rehearsal recordings. A few days before the demolition took place, some collectors from the USA and Europe were allowed to go through the warehouse and salvage whatever they could take with them for their personal collections. Soon after, collectors and RCA Records officials watched from a nearby bridge as the warehouse was demolished, with many studio masters still intact in the building. The remnants were bulldozed into the Delaware River and a pier was built on top of them. In 1973, when the company decided to release all of Rachmaninoff's recordings on LPs (to celebrate the centennial of the composer's birth), RCA was forced to go to record collectors for materials, as documented by Time. In the early 1920s, Victor was extremely slow about getting deeply involved in recording and marketing black jazz and vocal blues. By the mid to late 1920s, Victor had signed Jelly Roll Morton, Bennie Moten, Duke Ellington and other black bands and were becoming very competitive with Columbia and Brunswick, even starting their own V-38000 "Hot Dance" series that was marketing to all Victor dealers. They also had a V- 38500 "race" series, as well. However, throughout the 1930s, Victor's involvement in jazz and blues slowed down and by the time of the musicians' strike and the end of the war, Victor was neglecting the R&B (race) scene, which is one of the reasons so many independent companies sprang up so successfully. In the 1970s the label let much of its catalog go out of print. This pattern affected its jazz catalog most greatly, followed by its classical music catalog. In the compact disc era a small proportion of its jazz catalog has been reissued. (For example, Jelly Roll Morton albums were reissued; but they were removed from circulation in less than ten years.) Similarly, only a fraction of its vast classical catalog has remained available on compact disc. Canadian rockers Triumph were practically all but ignored by the label. When the band wanted out of their deal with RCA, the label refused. Then MCA Records executive Irving Azoff demonstrated his faith in the trio by co-opting their debts and buying the band out of their RCA contract and signed them for five albums. After singer Kenny Rogers left the label, RCA was accused of trying to ruin his career. Rogers signed to RCA in 1983 for an advance sum of $20 million (the largest deal ever in country music at that time) when Bob Summers was head of the label. Shortly after Rogers' first album for the label Summers was fired (for unrelated reasons) by RCA. Deciding it would make the label look bad for firing Summer if Rogers continued to be a major success - his duet with Dolly Parton, "Islands in the Stream", had been one of the biggest hits of 1983 - Rogers received very little support from the label during the next several years he was with them. Although Rogers and RCA parted ways many years ago the results of the conflict can still be seen today. In 1989, RCA deleted all of Rogers' solo albums soon after he signed back to Reprise, where he used to record when he was a rock artist with his former group, The First Edition. Rogers, in turn, took the rights to those albums with him as RCA refused to keep them), with only Once Upon A Christmas (a 1984 album of seasonal duets with Parton) remaining in print. Recent CD reissues of that album have omitted the tracks on which Rogers sang solo. The most recent controversy surrounded RCA Records and Kelly Clarkson. Reports said that many RCA workers including mogul Clive Davis were unhappy with her album My December. Davis was even said to offer Clarkson $10 million to scrap five of her songs, but she refused. Months of controversy concluded with Clarkson's tour being rescheduled, My December becoming the lowest-selling album of her career, and Clarkson joining Starstruck Entertainment. RCA Music Group: In 2002, BMG was reorganized in the United States, creating the RCA Music Group, which combined RCA Records, Arista Records and J Records, with Clive Davis heading the reorganized unit. After BMG was fully merged into Sony Music Entertainment, BMG sister group the Zomba Label Group was renamed to Jive Label Group and was brought together with RCA Music Group to form the RCA/Jive Label Group; however, both groups continue to operate as standalone division under the greater RCA/Jive Label Group umbrella. RCA Label Group (UK): a division of Sony Music UK, since 2006, which acts as an import label of American and multinational Sony Music artists, and also signs UK artists. Head of the department was Craig Logan, manager of Pink and former band member of Bros.
RCA Records Nashville: a division of Sony Music Nashville. RCA Red Seal Records: The prestigious RCA Red Seal classical music label is now part of Sony Masterworks. RCA Music Group (France): a division of Sony Music France. RCA Label Group Nashville: Based in Nashville, Tennessee, it consisted of the country music operations of the RCA, Arista, known as RCA Records Nashville and Arista Nashville respectively, and BNA Records record labels. With the Sony BMG merger, the group was merged with Columbia Nashville to form Sony Music Nashville. RCA Records Nashville remains an active imprint of Sony Music Nashville. RCA Victor Label Group: The RCA Victor label group consisted of the RCA Victor, Windham Hill and Bluebird labels. Other RCA associated labels: Colgems, Calendar/Kirshner, Metromedia, Chelsea, Midland/Midsong International, Windstar, Wooden Nickel, and Millennium. 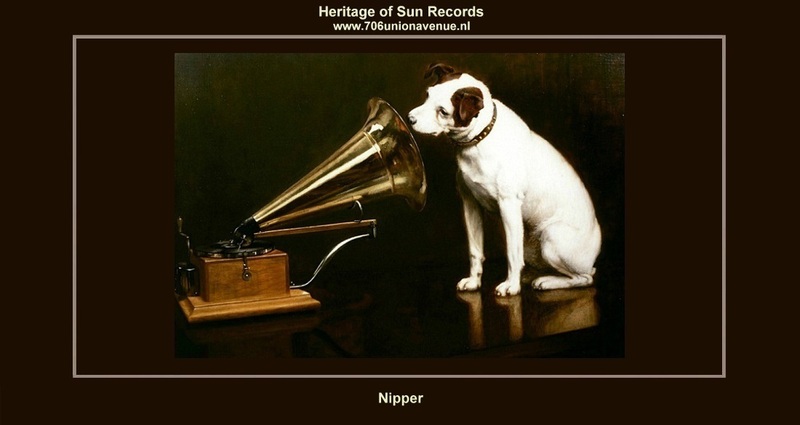 NIPPER - (1884–1895) was a dog that served as the model for a painting titled His Late Master's Voice. This image was the basis for the dog and trumpet logo used by several audio recording and associated brands: His Master's Voice, HMV, RCA, Victor Talking Machine Company, RCA Victor and JVC. Nipper was born in 1884 in Bristol, England, and died in September 1895. It has been claimed in various sources that he was a Jack Russell Terrier, a Fox Terrier. He was named Nipper because he tried to bite visitors in the leg. Nipper’s original owner, Mark Henry Barraud, died in 1887, leaving his brothers Philip and Francis to care for the dog. Nipper himself died in 1895 and was buried in Kingston upon Thames in a small park surrounded by magnolia trees. As time progressed the area was built upon, a branch of Lloyds TSB now occupies the site. On the wall of the bank, just inside the entrance, a brass plaque is displayed commemorating the terrier that lies beneath the building. On 10 March 2010 a small road near to the dog's resting place in Kingston-upon-Thames was named Nipper Alley in commemoration of this resident. Nipper used to live with his owner in the Prince's Theatre in Bristol. There is a small model of Nipper above a doorway of a building at the junction of Park Row and Woodland Road in Bristol, opposite where the theatre stood. In 1898, three years after Nipper’s death, Francis painted a picture based on a photograph of Nipper listening intently to a wind-up Edison-Bell cylinder phonogram. In the painting, Francis substituted a disc gramophone for the phonograph shown in the earlier photograph. On February 11, 1899, Francis filed an application for copyricht of his picture “Dog Looking At and Listening to a Phonograph''. Thinking the Edison-Bell Company might find it useful, he presented it to James E. Hough who, in a move that would eventually result in Edison exiting the record business altogether, promptly said, “Dogs don’t listen to phonographs.” On May 31, 1899, Francis went to the Maiden Lane offices of The Gramophone Company with the intention of borrowing a brass horn to replace the original black horn on the painting. Manager, William Barry Owen suggested that if the artist replaced the entire machine with a Berliner disc gramophone, the Company would buy the painting. 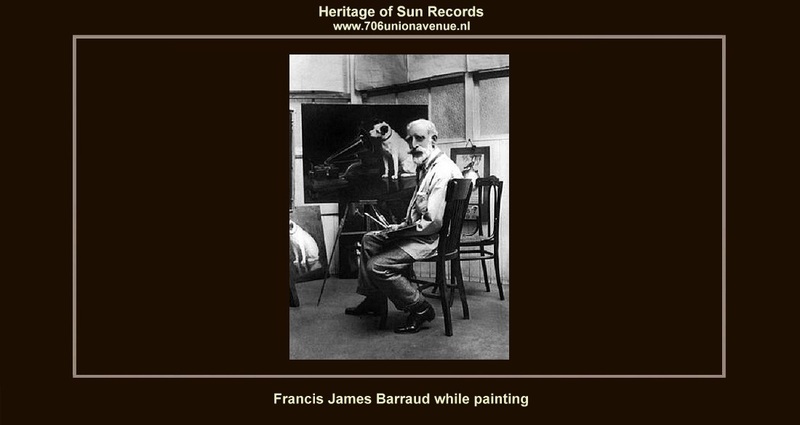 A modified form of the painting became the successful trademark of Victor and HMV records, HMV music stores, and RCA. The trademark itself was registered by Berliner on July 10, 1900. The slogan ''His Master's Voice'' along with the painting was sold to The Gramophone Company for 100 pounds sterling. As Francis Barraud stated about this painting: ''It is difficult to say how the idea came to me beyond that fact that it suddenly occurred to me that to have my dog listening to the Phonograph, with an intelligent and rather puzzled expression, and call it ''His Master’s Voice'' would make an excellent subject. We had a phonograph and I often noticed how puzzled he was to make out where the voice came from. It certainly was the happiest thought I ever had. Nipper lives on through the brand names; he even appeared in ads on television with his "son", a puppy named Chipper who was added to the RCA family in 1991. Real dogs continue to play the roles of Nipper and Chipper, but Chipper has to be replaced much more frequently, since his character is a puppy. Nipper continues to be the mascot of HMV Group stores in countries where the entertainment retailer has the rights to him. Both RCA Records and EMI have deemphasized Nipper in the global music market due to the fragmented ownership of the trademark.